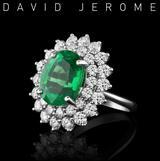 Comment: Few hiddenite, or other gems for that matter, earn a 'free of inclusions' in XXL sizes, over ten, or twenty carats. 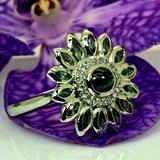 Due to size and length the gem is very sensitive to the background. See the images from mild butter hues to ivory in cold light and corn-colored in warm settings, expressed in tones from Light 25 to 40. Only in an exact 90-degree angle does it shine with less than full brilliancy (as in 2nd handshot), all other viewing directions and movements produce a beautiful shimmering glitter. See back- and side-images for better color impressions, as front-views are overloaded by reflections. There, and in person, I can perceive no green, or very little at least to pay attention to the AIG report. BTW, the strongly green spodumene currently flooding the market is radiated and heated. NOT a ring-sized gem anymore, pendant-only, or set in a bracelet, but remember that bracelets are costly to custom-make other than in silver (ask us for a quote but note that silversmiths are only found in high-wage countries these days, where the lack of earnings from material can be leveled out by hourly fees, hence even silver will not come cheap). As always, we deliver the gem free world-wide with the original full-size AIG report, grading papers, a plot of endangered wild habitat bought and protected in your name with WLT certificate, and other WildFish-only perks plus 3*NO: no windows, no inclusions, no treatments. At slightly over $400/ct in a flawless gem of this size, this is a bargain-alternative to yellow sapphire or any other durable yellow gem (not many around except diamond and try that in 23 carats).